Join the East Lyme Auxiliary and the East Lyme Parks and Recreation Department for the 11th annual Touch A Truck. 9:00 a.m. to 2:00 p.m. at McCook’s Point Park in Niantic, CT.
Join the New London/Waterford Auxiliary for a spooky Murder Mystery entitled “Murder at Mardi Gras.” The show will be held at the B.P. Learned Mission at 2:00pm. Join us at B.P. Learned Mission to celebrate a year of accomplishments. State Representative for the 39th district, Chris Soto will be our keynote speaker. The meeting will begin at 5:30pm, reception to follow. I am presently the Senior Director of Development for Child and Family Agency of Southeastern Connecticut. Many individuals ask how I arrived at this position. The answer is simple. I love people, and my passion is helping others. If you were to ask me what I am most proud of, hands down, it’s my children. From a young age I knew that I wanted to be a dad, and 10 years ago that dream became reality. I am the proud father of two children, Ava and Brody. I am also the proud dog-dad of a 6 year old, Golden Retriever, Rex, and a 1.5 year old, Bernedoodle, Jett. I am deeply inspired by the works of Eckhart Tolle. One of my favorite quotes is “The power for creating a better future is contained in the present moment: You create a good future by creating a good present.” I work at Child and Family Agency because I believe that together we can continue to create a stronger future for all of the children and families in Southeastern CT. Building a strong community benefits all. I hope to be one of the many champions that takes the work of this great agency to the next level. The Halloween Show is BACK! The children of the B.P. 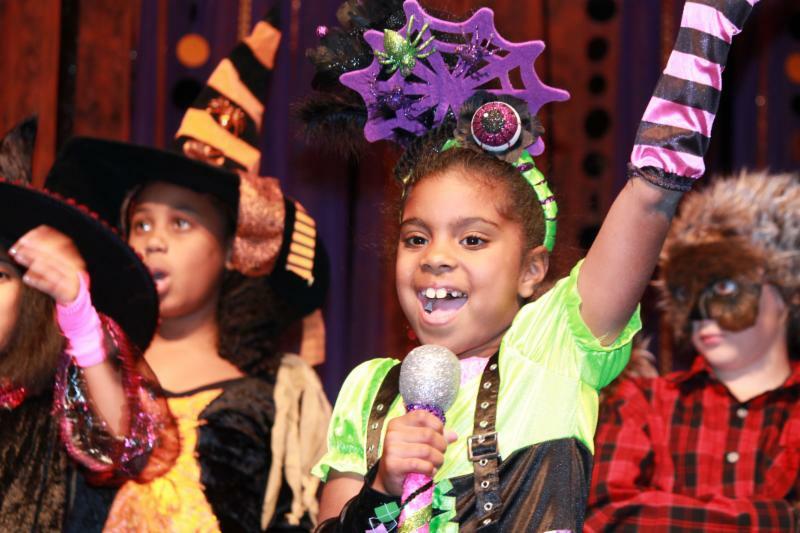 Learned Mission will be celebrating Halloween onstage this year! Every afternoon, after the children finish their homework and reading, they take to the stage to sing, dance, and act! This year’s production is called “The Witches of Oz” and includes special guest appearances by staff members, B.P. Graduates, and community members! All performances are followed by a reception for family and friends. We hope you’ll join us on October 25 & 26, 2018 at 7:00pm to see the joy and fun that goes along with this holiday. You’ll be dazzled with special guest appearances as well! Hope to see you there! Questions? Email Jennifer Messina, Director of Marketing & Community Relations, at messinaj@childandfamilyagency.org. Stability, flexibility and ability are the key words! Our annual appeal is one way you support the programs we provide to the children. We receive state, federal, and United Way funds that specify what we use the money for and how long the services can be for the child and his or her family. Your help allows us do what we do best – help the children. We view you as our partners in building a strong community. The money raised from our Annual Appeal, our auxiliary events and private family foundation grants, is unrestricted. These funds provide us the flexibility and ability to extend counseling to a family for a few more sessions than a state grant provides to ensure that the family is stable, to continue childcare in situations where the parents lose their jobs and don’t qualify for assistance, and to let us go that extra mile to stabilize and enhance a child’s life to the best of our ability in a variety of life situations that aren’t always covered in state and federal grants. On Tuesday, November 13, 2018, please join us at the B.P. Learned Mission for our Annual Meeting. This year we hope the community partners, businesses, families, and other partners we have had the pleasure to work with and serve throughout the year will be able to attend. As such, we have decided to hold the meeting at 5:30 pm. We will also be recognizing our Auxiliary Volunteers of the Year, Agency Volunteers of the Year, and other individuals who have been central to our work. Representative Chris Soto will be our keynote speaker.